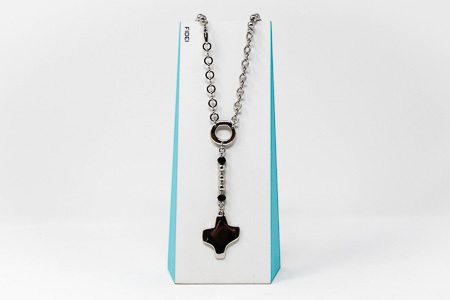 DIRECT FROM LOURDES - Fidei Silver Rosary�Necklace with Black Crystal Beads. 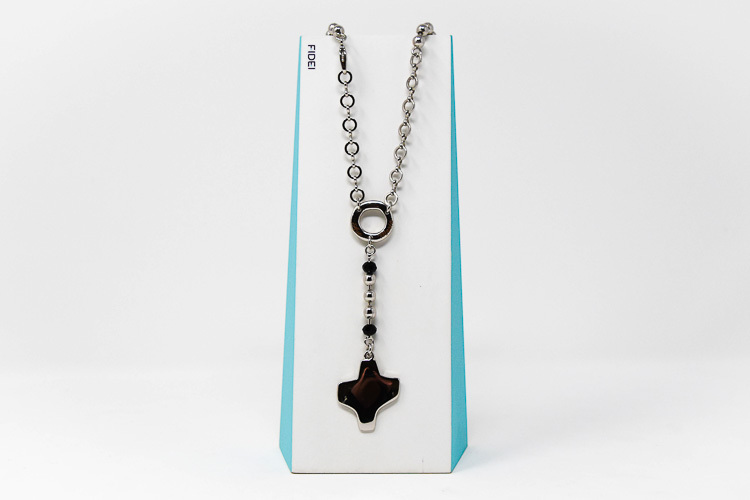 Fidei Silver Rosary�Necklace with Black Crystal Beads. Fidei silver rhodium plated rosary necklace with aclasp and silver beads. For every decade there is a black crystal bead, the round centerpiece has the wording Ave Maria.